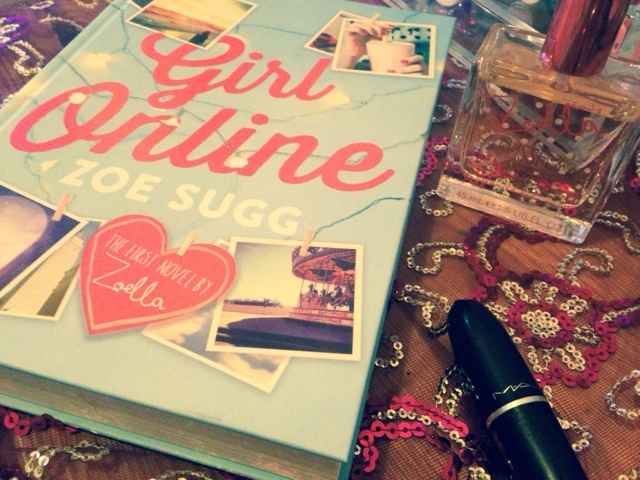 Whilst knowing Girl Online was written by a ghost writer, it didn't stop me from enjoying it. Nor do I have great hatred for Zoe, unlike most of the internet. Unfortunately this was a situation she, or rather her management team handled wrongly, and that it should have been disclosed from the start. Nevertheless, the success of the novel has proved, whatever the Zoella name is stamped over, will sell. I feel like this drama has overshadowed many other reviews of the actual book, which I did enjoy reading. What I'd like to know, is how much of the novel was Zoe's idea, and also whilst reading it, I kept wondering, did this actually happen? It would be nice to know how much was reality. For those of you that don't know, Zoe has vlogged extensively about her own experiences with anxiety, and is also an ambassador for the charity, MindUK. 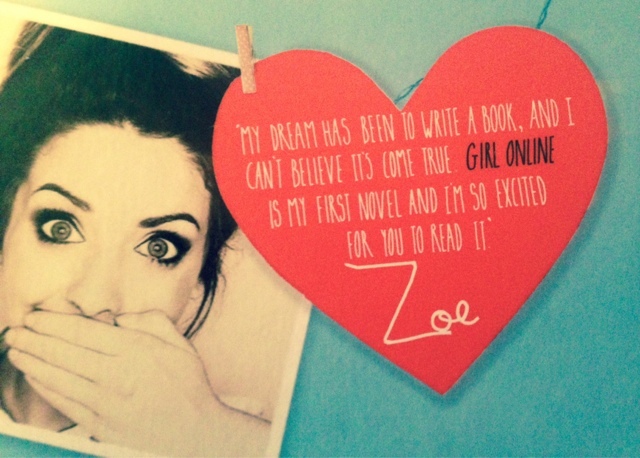 Girl Online is evidently based on Zoe's own experiences, being about a blogger, who suffers from panic attacks. The protagonist is fifteen year old Penny who, since being in a car accident, has suffered from panic attacks. Feeling alienated at school, she decides to start a blog called Girl Online. After an incident making her the laughing stock of the whole school, a trip to New York with her best friend is exactly what Penny needs. On this trip, she meets smouldering American, Noah. She soon falls pretty hard for him, but he is harbouring a secret. 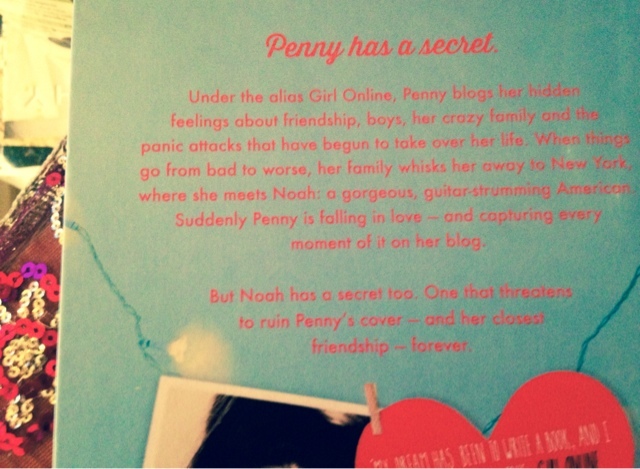 A secret that will destroy not just Penny's world, but Penny's online world too. What I find ironic is that one of the messages Girl Online portrays is about haters hiding behind their internet profiles. Due to events surrounding Noah, Penny is subject to intense online bullying, but personally manages to overcome it with a positive attitude, shunning those haters. Since the reveal that Girl Online was not 100% Zoe's work, the internet has turned on her, much like it does to Penny in Girl Online. I was really disappointed to see our beloved, friendly blogging community turn on a blogger like that, so I've tried to write a fair review here, rather than a rant like many other bloggers. Girl Online is a whimsical modern day fairytale, which combines seaside tales (I totally want to live in Brighton) and the magic of NYC. And of course, who doesn't want to fall in love with a rockstar? I wouldn't be surprised if Girl Online was inspired by one of my favourite films (and indeed the books) Angus, Thongs and Perfect Snogging, as I feel there is a similar humour, and the protagonists Georgia and Penny seem very similar. It just all has a very similar vibe, and that is in no way a bad thing. They do of course share a target audience. I bought Girl Online out of sheer curiosity. I wouldn't class myself as a Zoella fan. I liked seeing her in Tanya Burr's vlogs, but I have only watched a handful of Zoe's videos. A while ago, I came across Zoella on Bloglovin' and after seeing the sheer volume of followers, wondered why I wasn't already following her. Yes I also have her perfume, but I'm not a superfan, like many of her pre-teen followers. I think it's amazing what can come of blogging, and whilst many bloggers wouldn't want that level of fame, you can't say that Zoe Sugg isn't an inspiration. 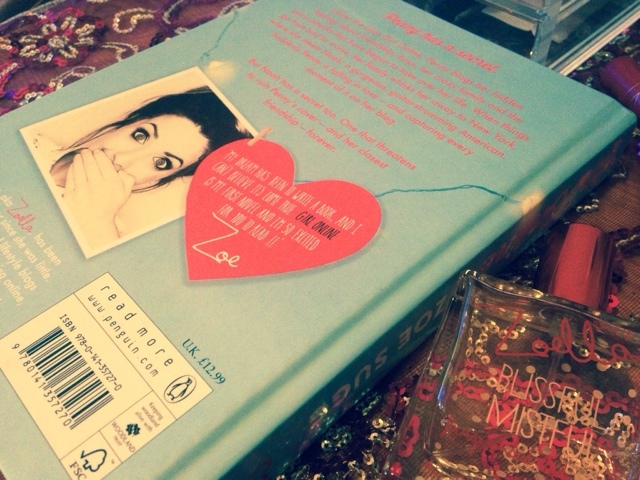 Great post, I have to prose this book for addressing issues that are NOT talked about often enough i.e panic attacks and am thrilled Zoella is putting her fame to such a positive use. I have to admit that I feel the ghost writing issue was a bit much because I personally could sense Zoella's personality in the book. I felt it was unjustified. The book wasn't for me though but I would have loved it when I was a teen! Thanks Kay :) I felt that people focused too much on the negatives. I know what you mean though, it's is marketed more at young teens, but it was a nice escape for a few hours!